One of my absolute favorite TV-series is Twin Peaks. I don’t know how many times I have seen it in its entirety… And every now and then I will watch a random episode. I spent almost all of last weekend inside, since spring seems to be on hold in Stockholm, and it has been both cold and rainy. Then you need something to cheer you up. 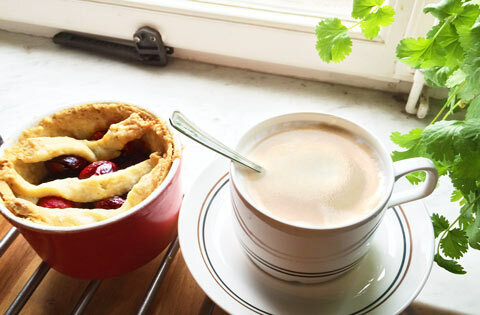 A cherry pie and a cup of really good coffee always work for me!